In health classes at Weston High School, students learn in the signs of an abusive relationship and the risk of emotional and physical harm. However, they don’t learn how to de-escalate scenarios or protect themselves. Julie, a Girl Scout Ambassador from Weston, wanted to take this education to the next level. She started by distributing school-wide surveys and conducting interviews with self-defense instructors, health teachers, and wellness directors. Using this research, she created a two-week program that teaches unique self-defense lessons in cooperation with the high school health teacher and a group called Project Impact. 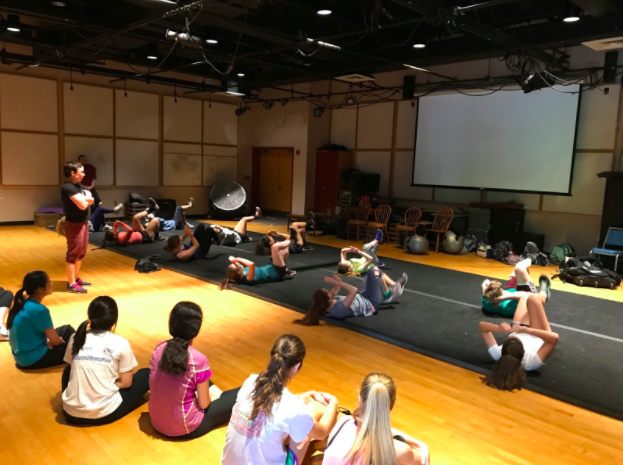 Over five days, 25 young women received extensive training on emotional de-escalation techniques, physical defense moves, and how to be an upstander—someone who recognizes when something is wrong and acts to make it right. Julie also raised awareness about self-defense at her school by teaching a self-defense lesson plan to junior physical education classes. Health and physical education teachers will continue the program in their classes. Julie is a fearless leader who stands up for others! This is fantastic and very similar to IMPACT training we are looking at for our troops in Arlington. Would Julie, featured in the story, ever want to present to local town councils or to troops with a training tailored for specific troop ages?